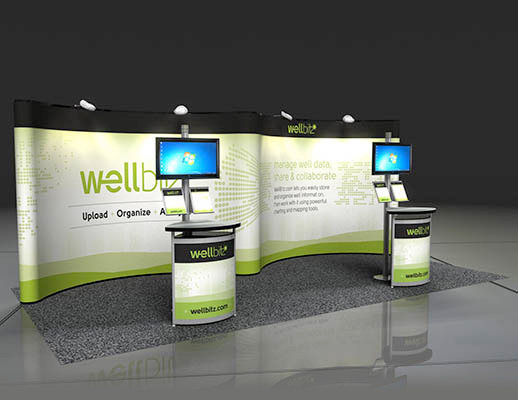 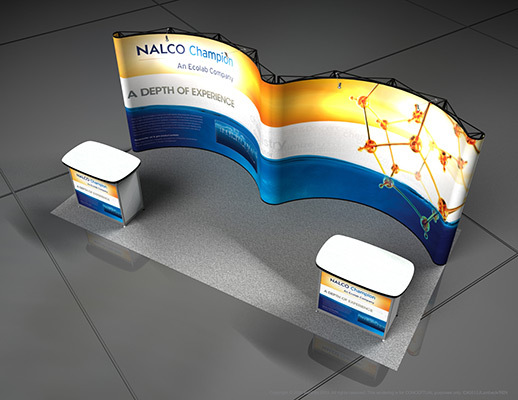 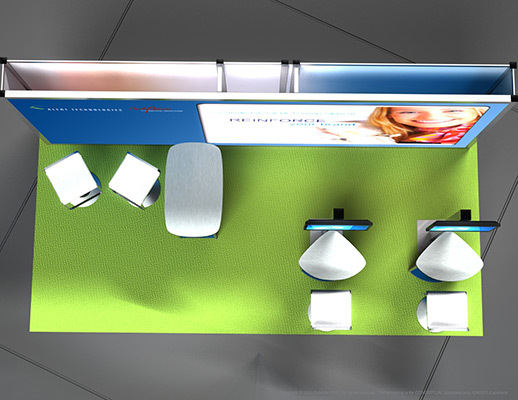 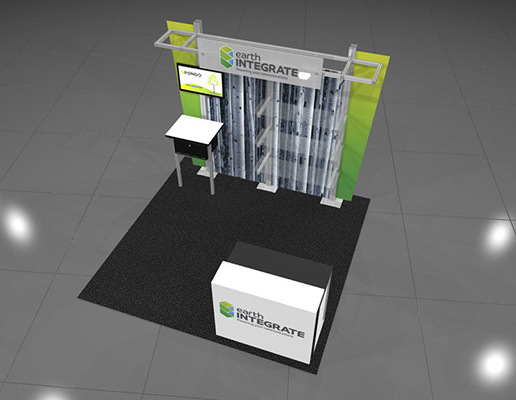 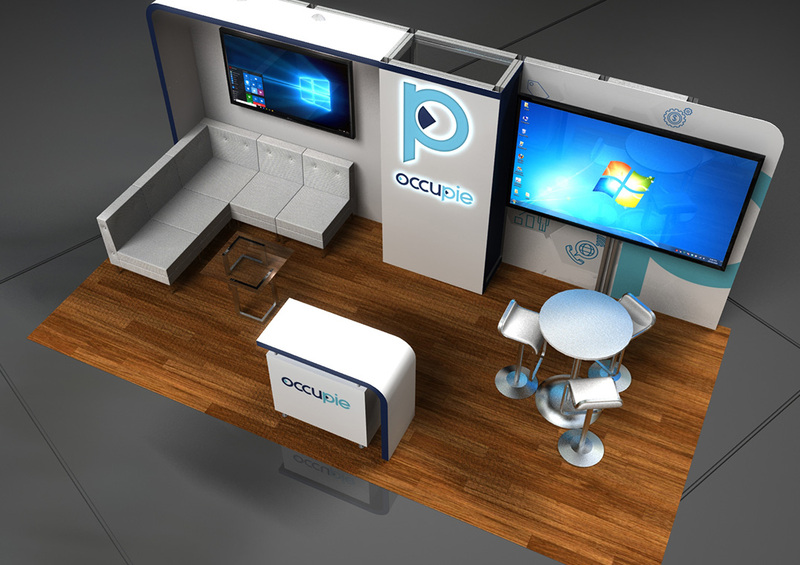 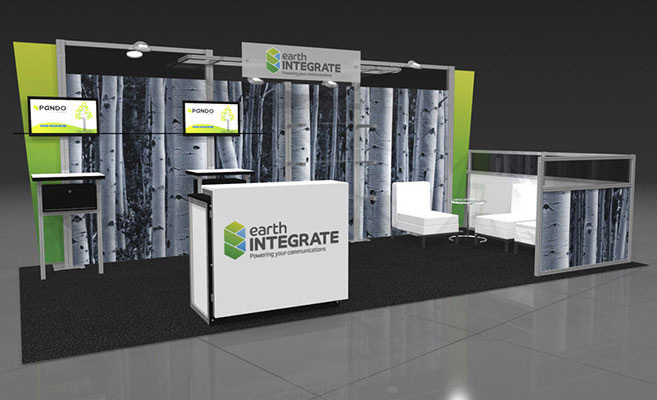 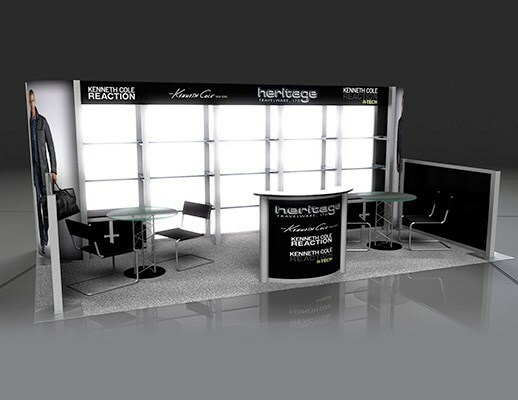 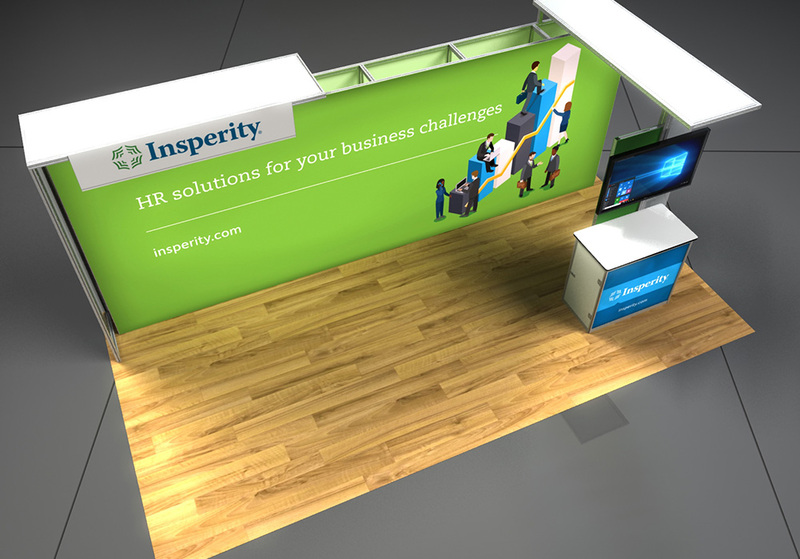 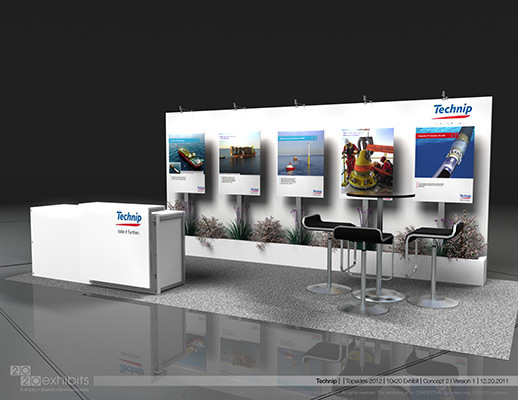 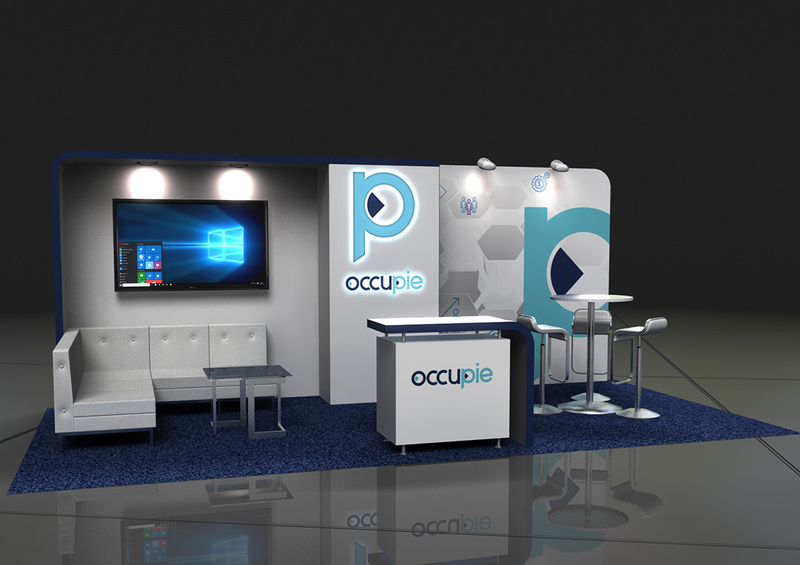 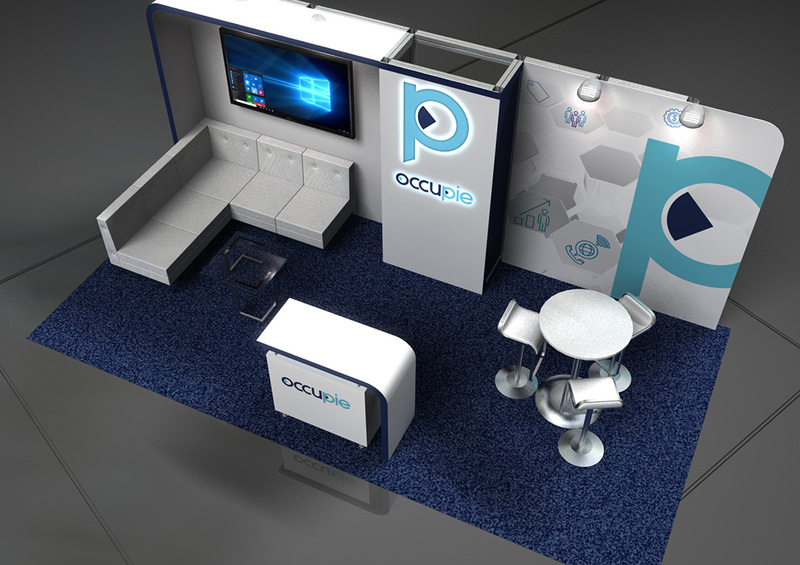 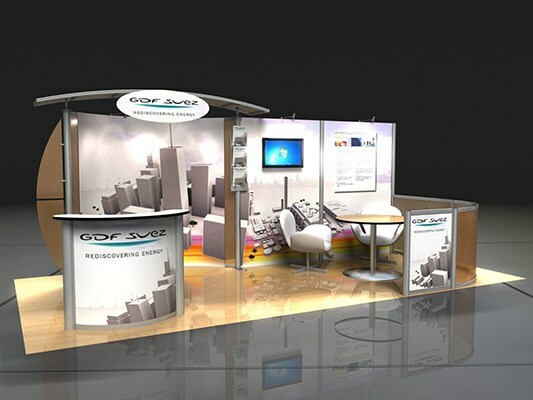 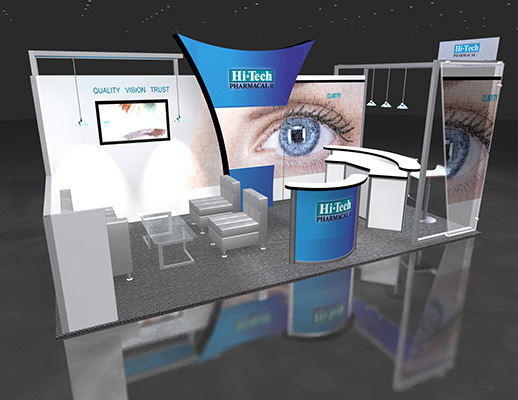 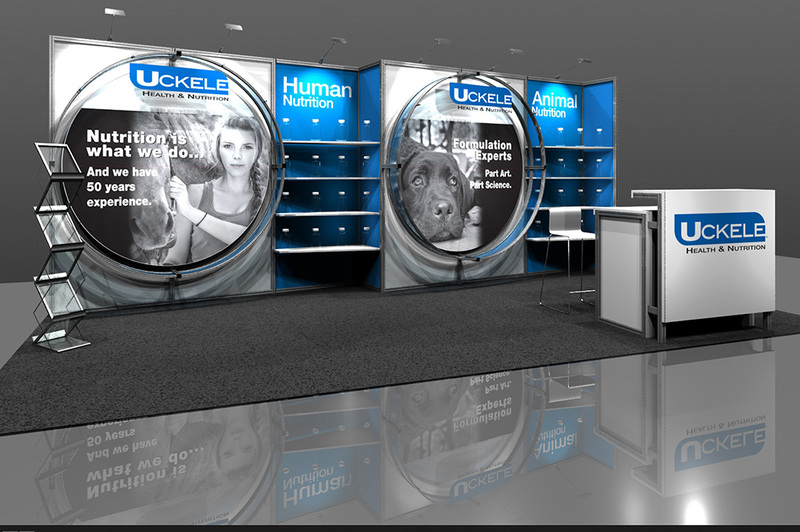 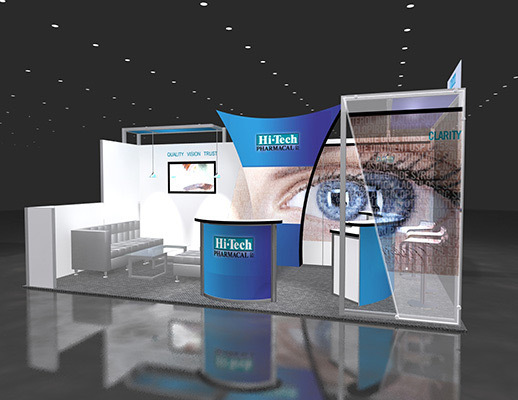 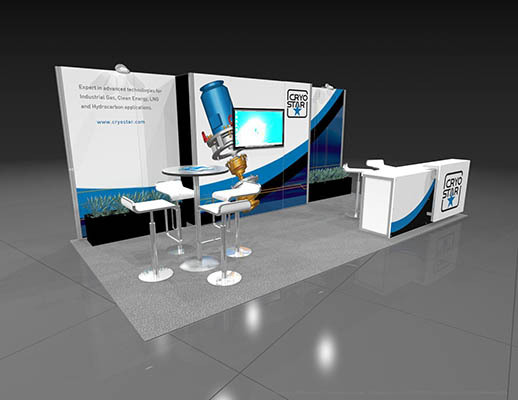 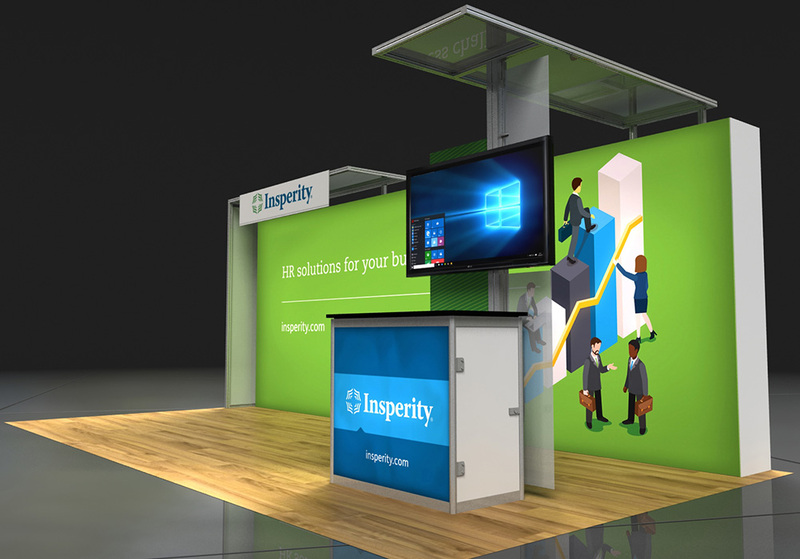 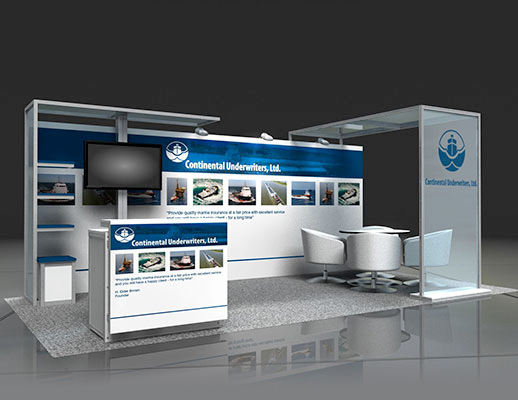 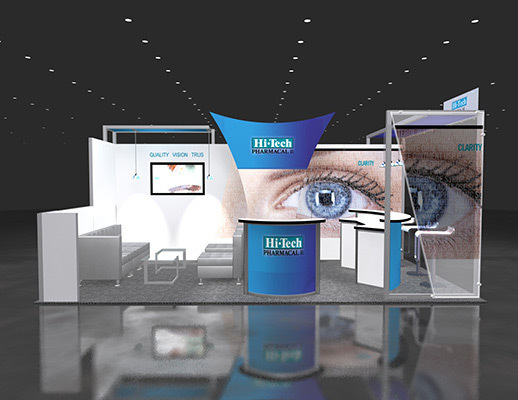 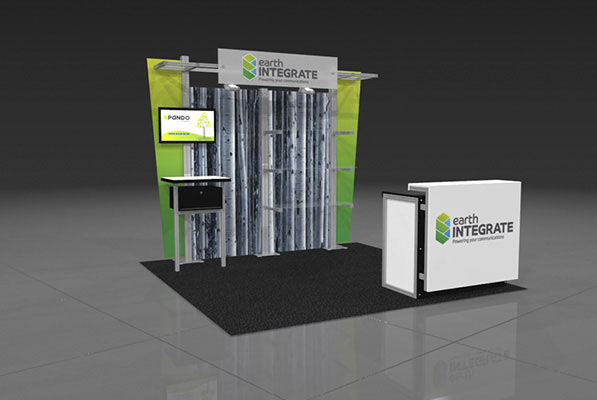 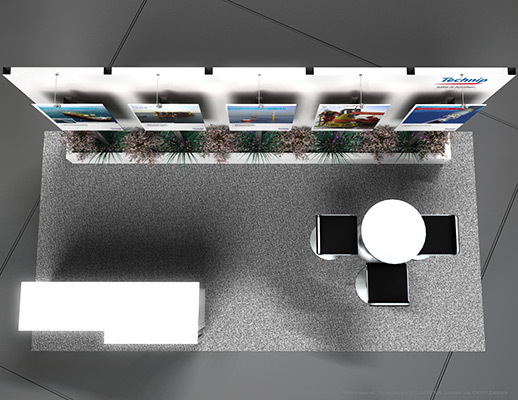 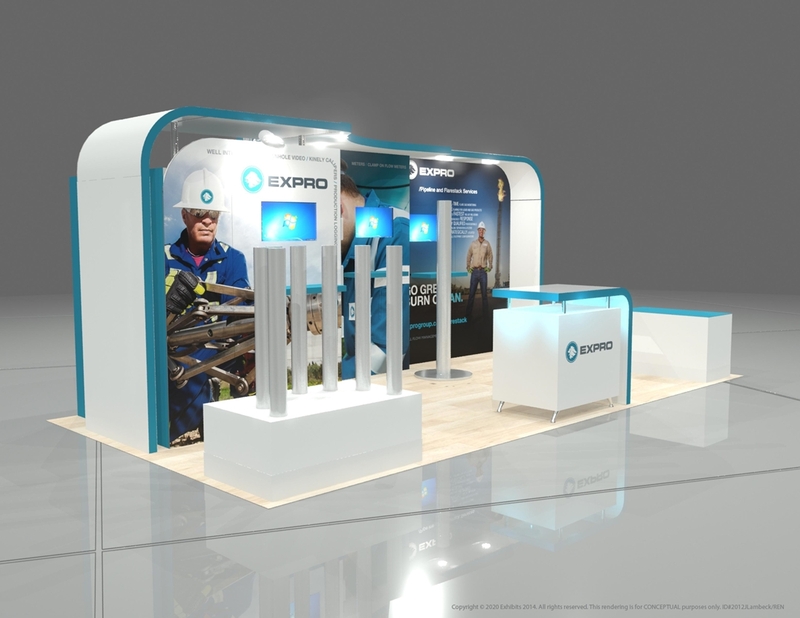 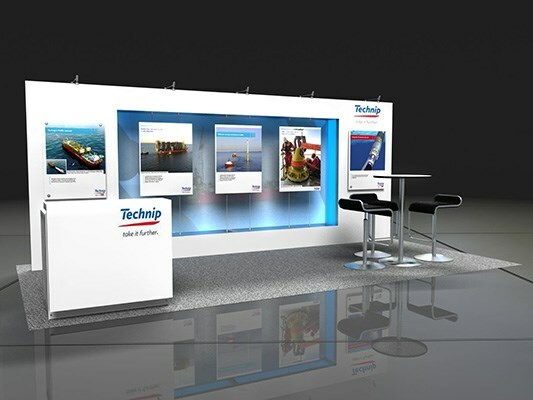 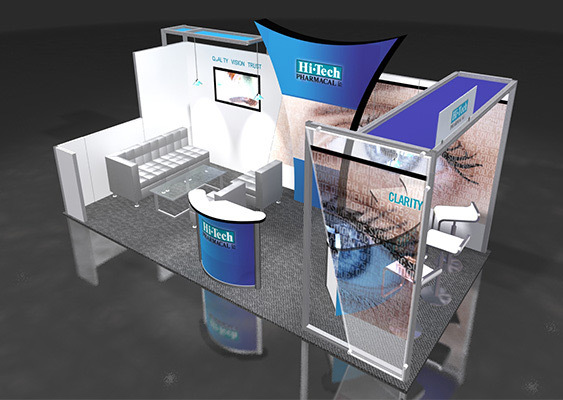 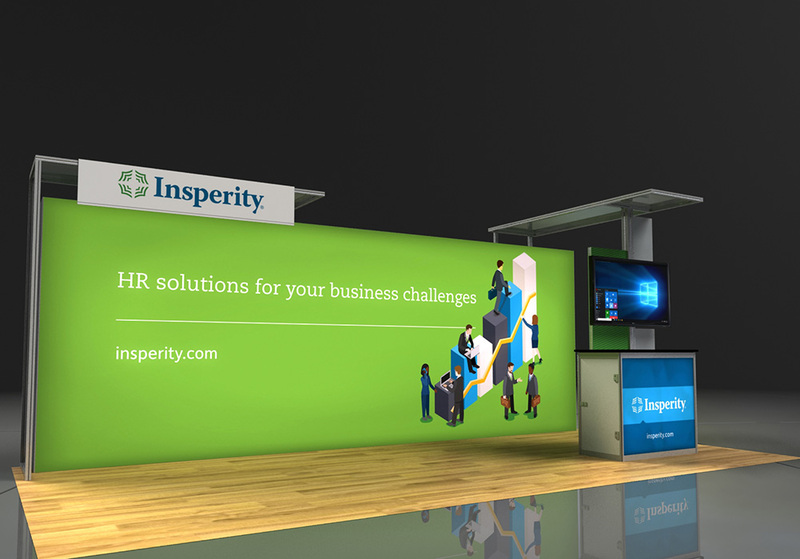 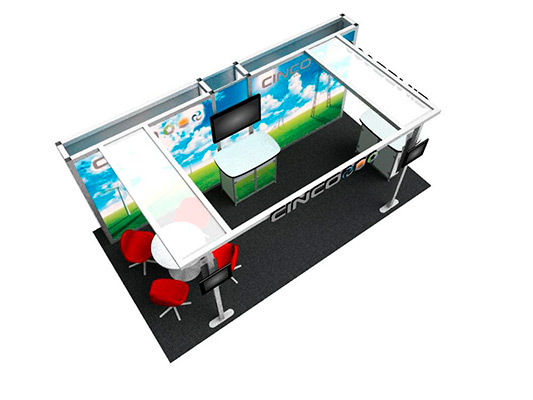 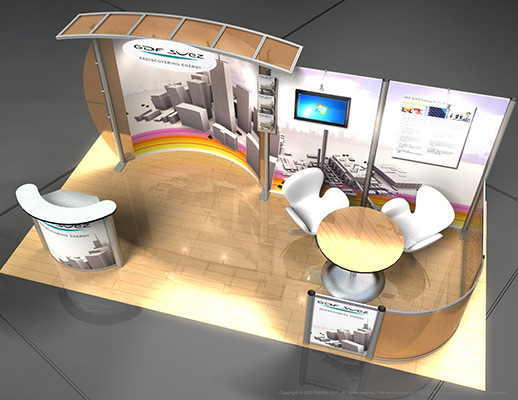 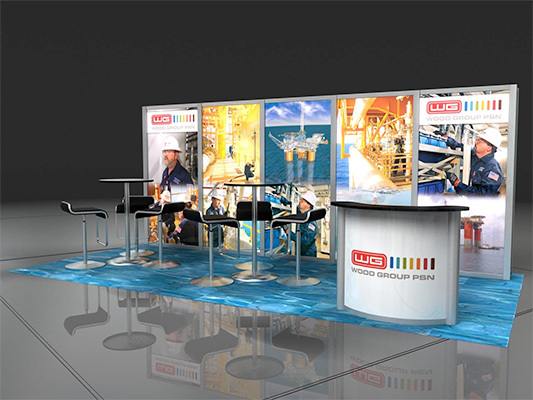 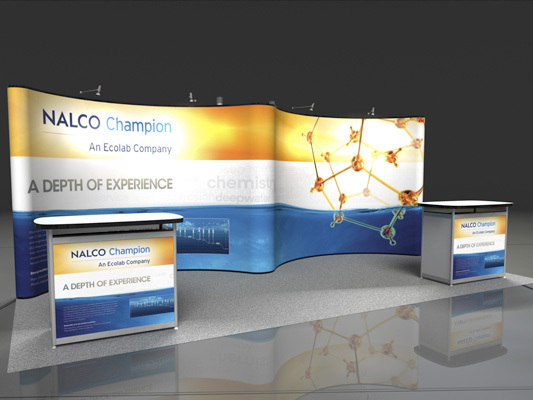 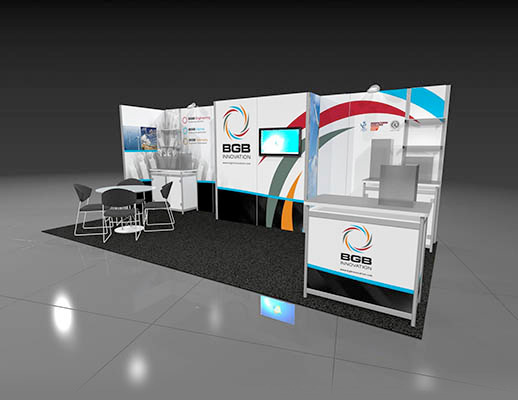 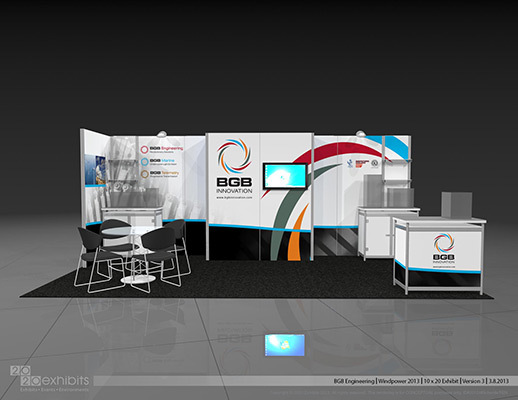 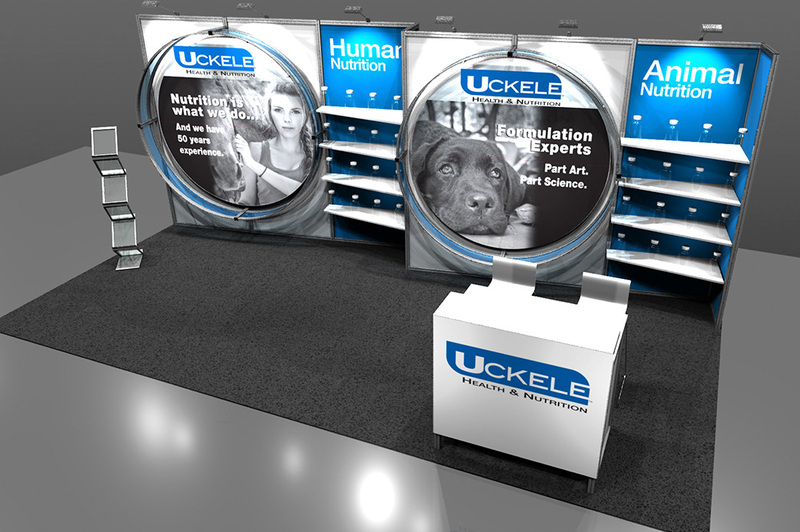 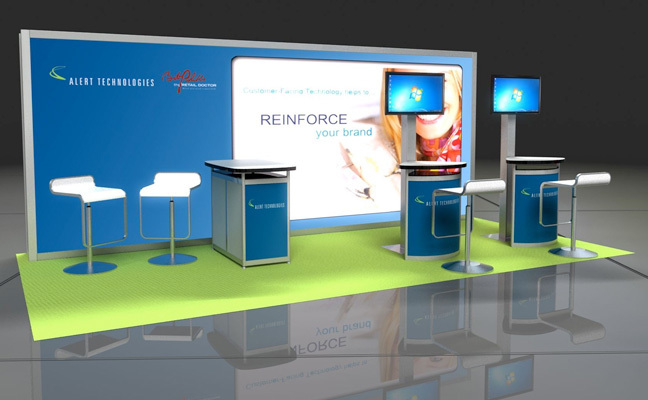 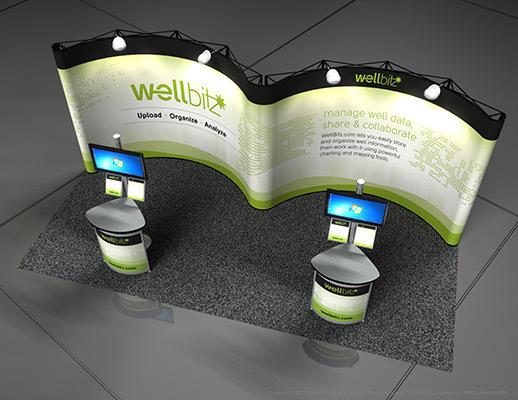 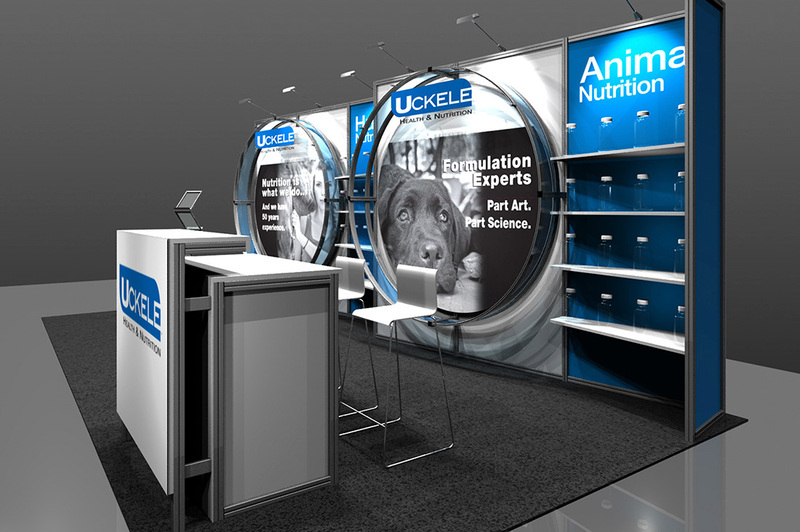 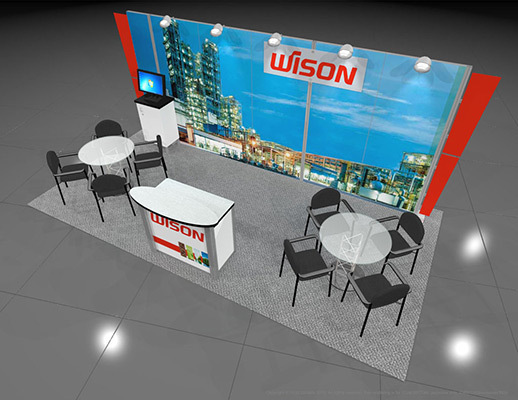 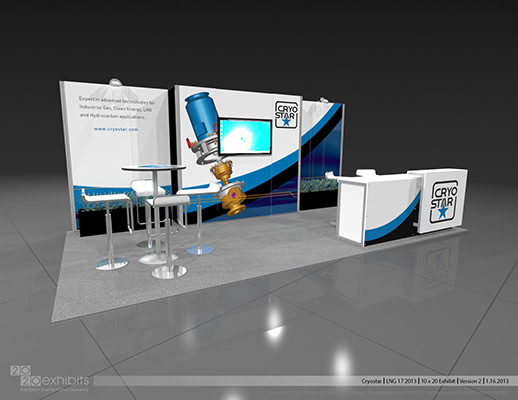 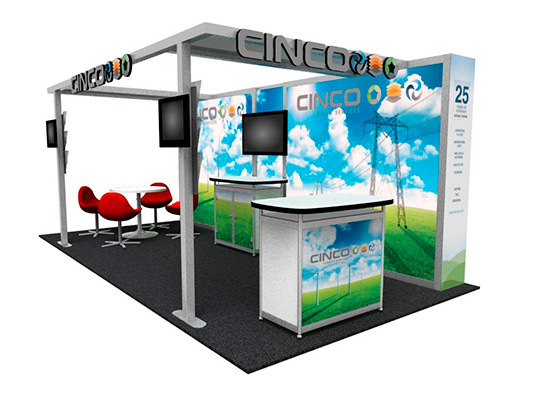 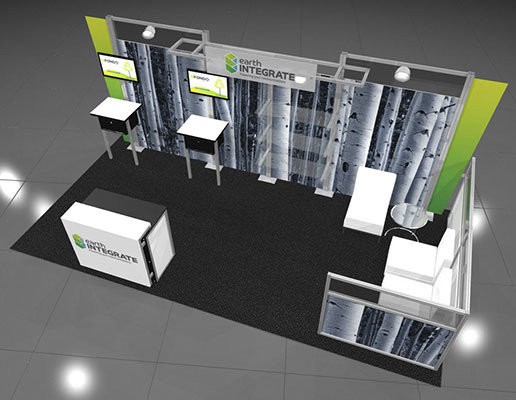 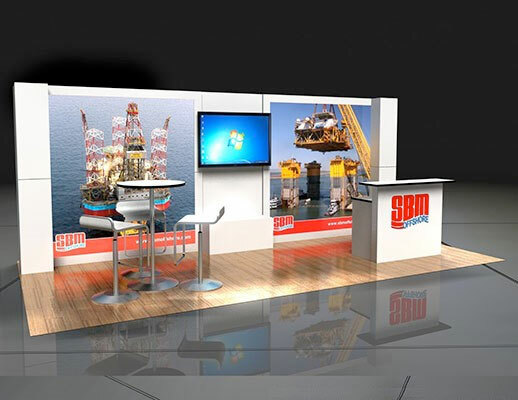 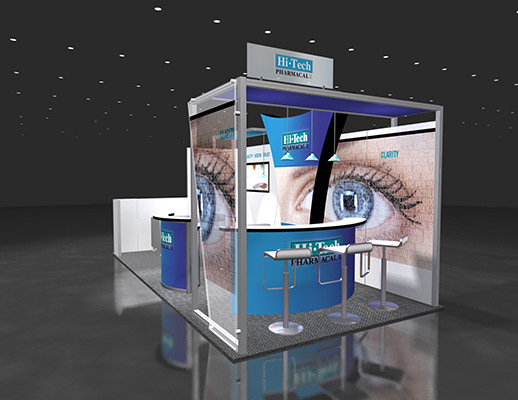 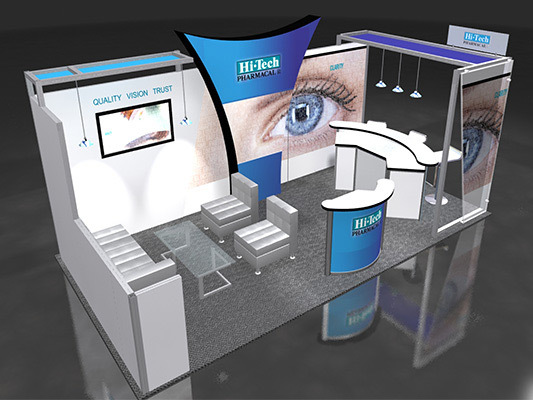 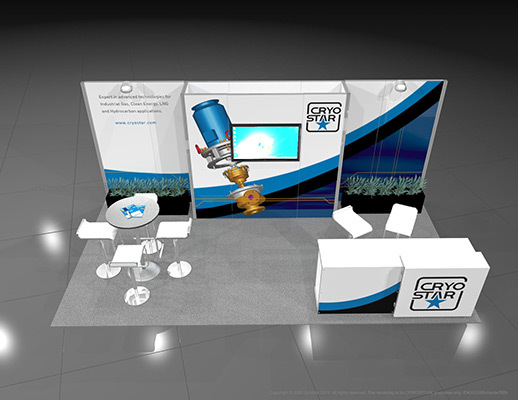 Curved graphic back walls are fully used to provide a very strong visual draw to attendees. 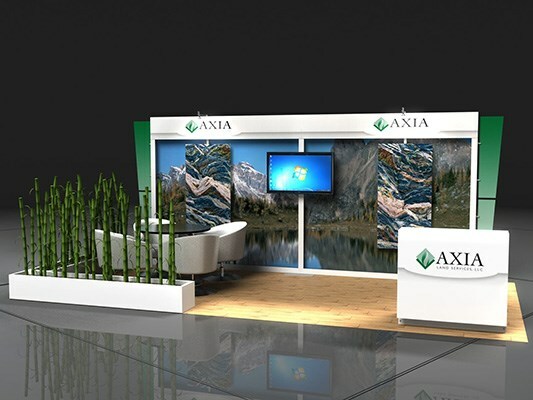 Subtle, professional and compelling graphics. 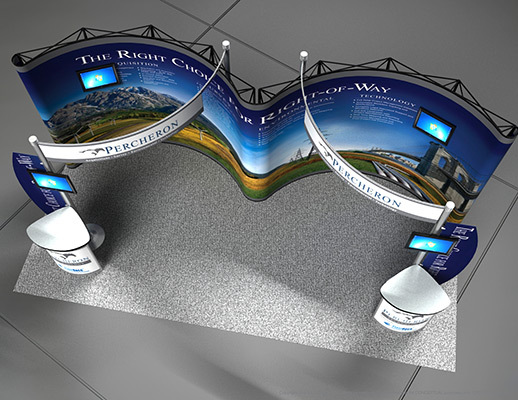 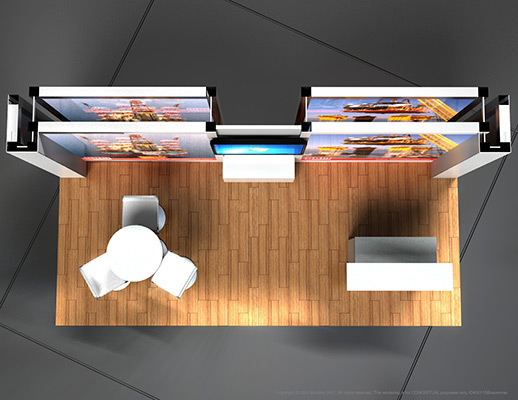 Two video kiosk stations at the front of the exhibit provide an ability to view a presentation on-screen with literature displays attached for ease. 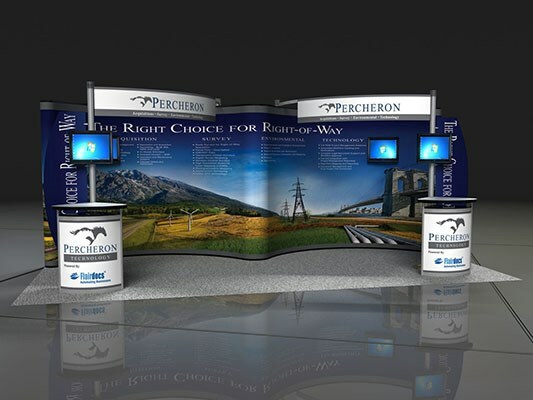 Attendees have direct access to more in-depth information with these literature displays after watching the presentation on the video monitors. 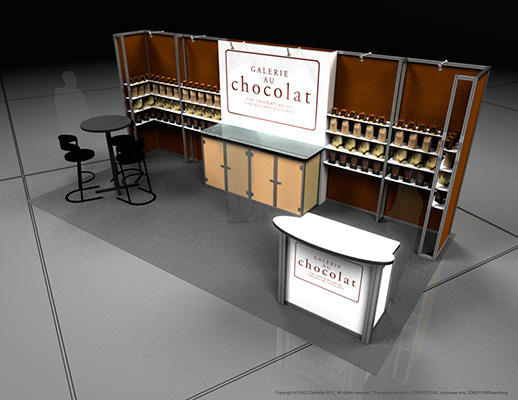 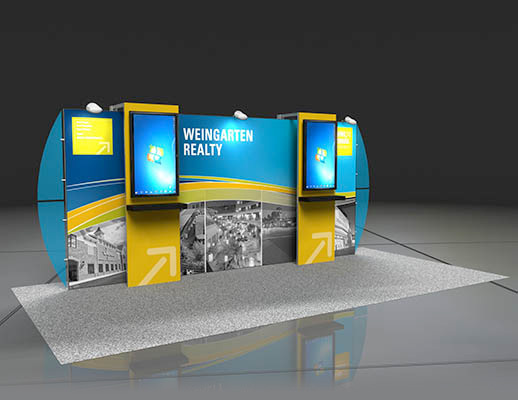 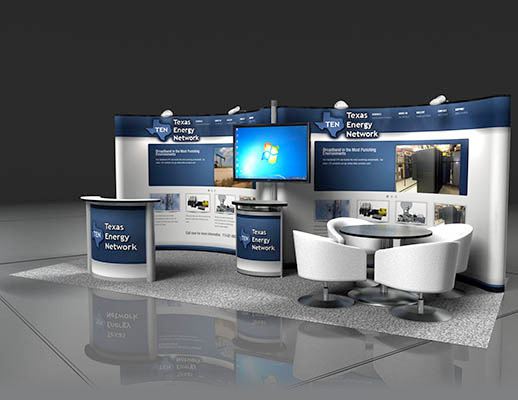 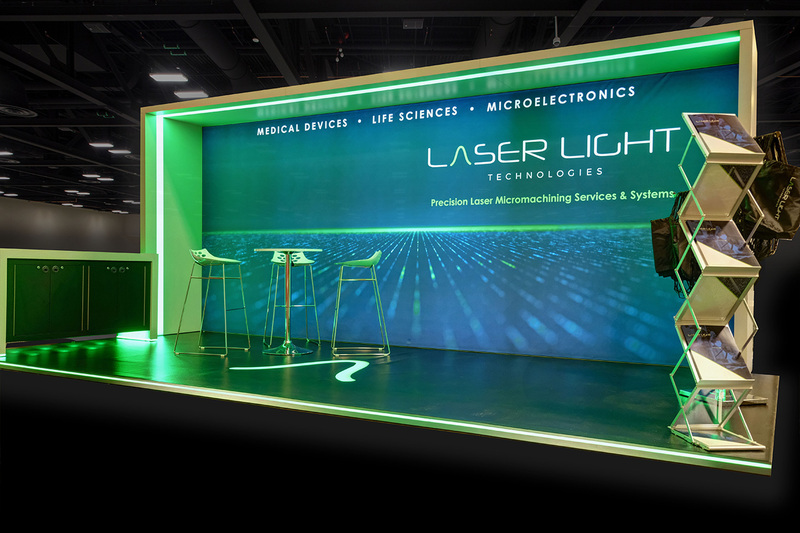 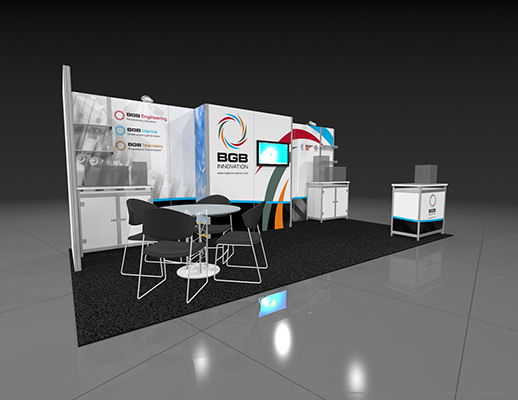 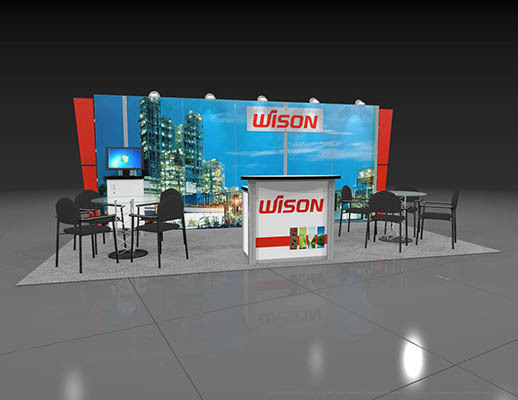 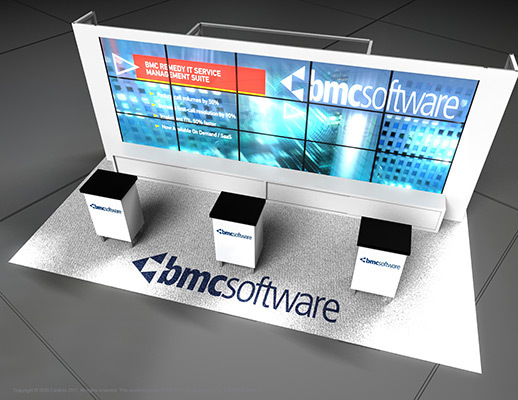 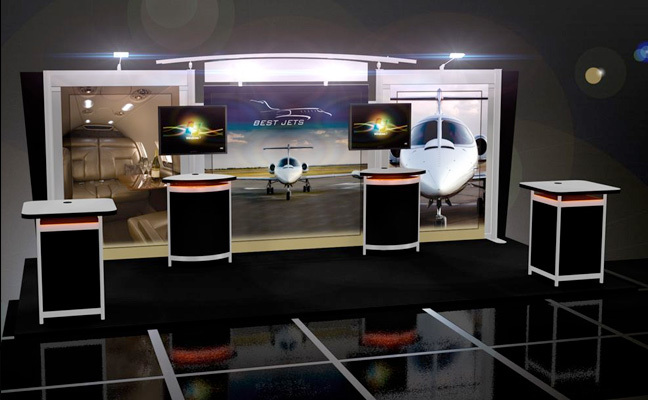 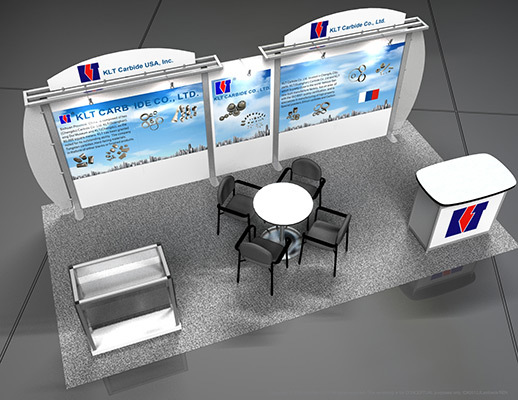 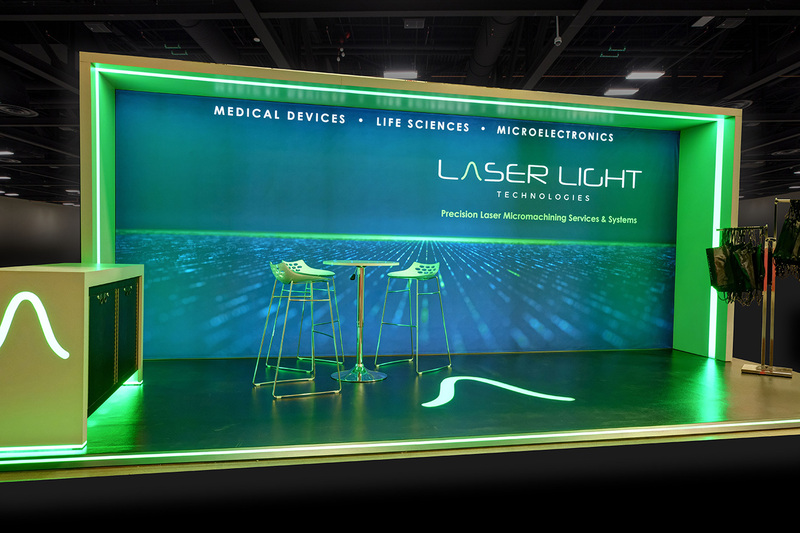 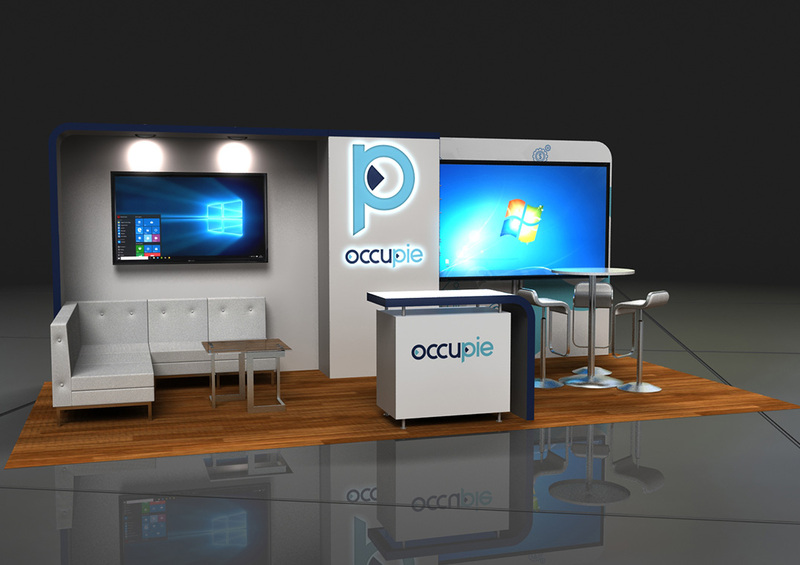 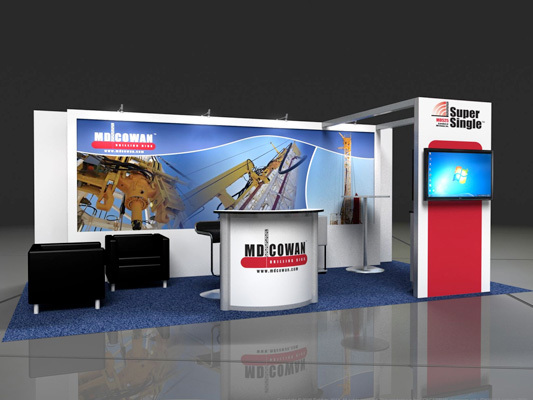 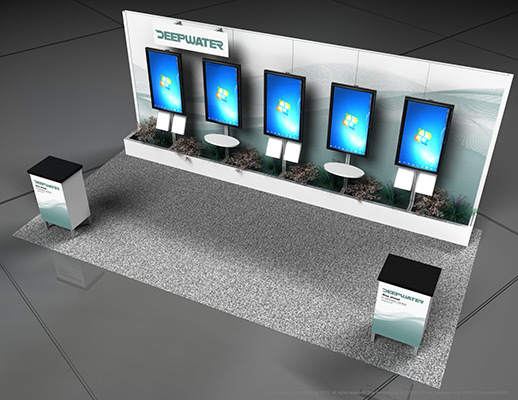 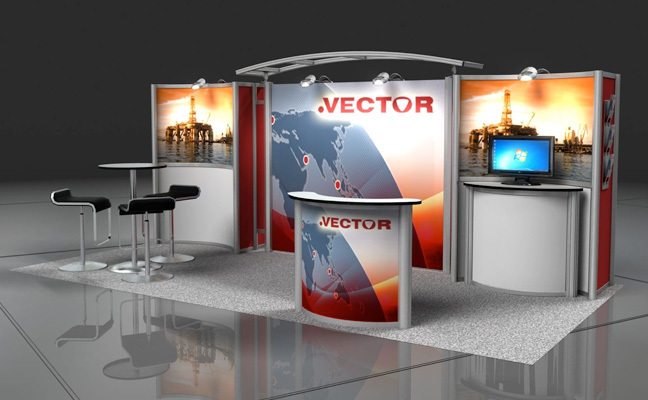 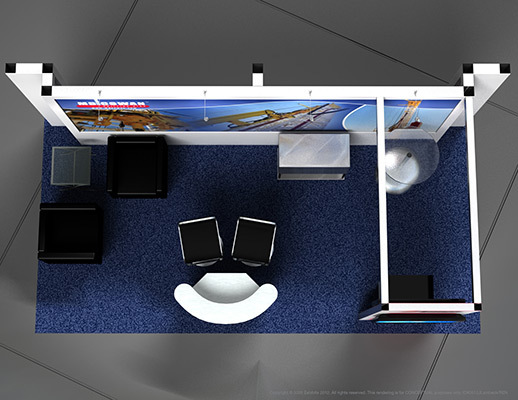 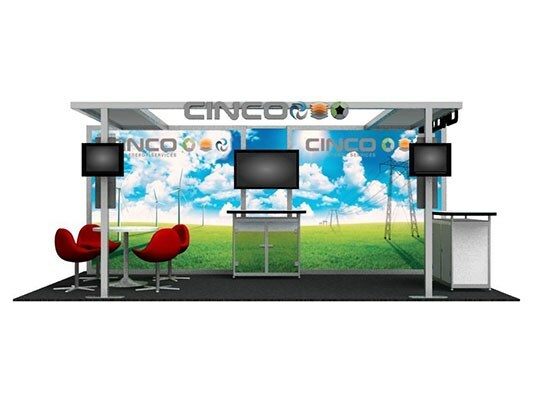 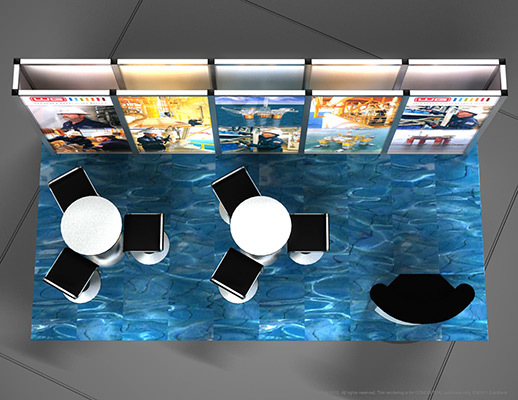 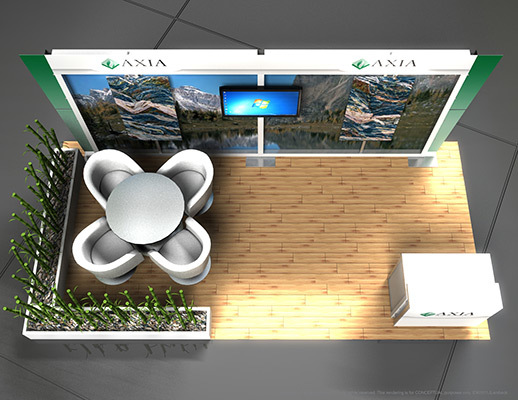 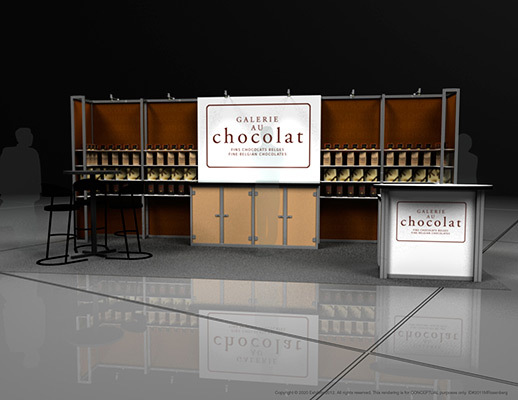 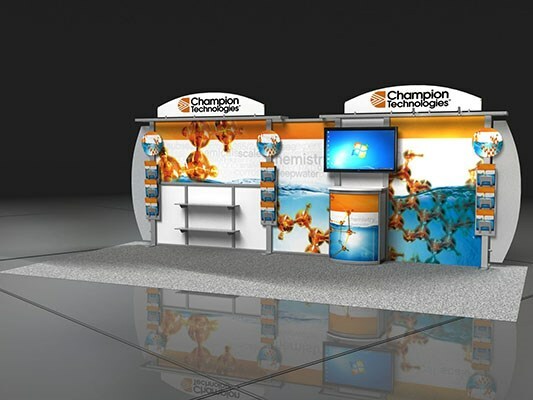 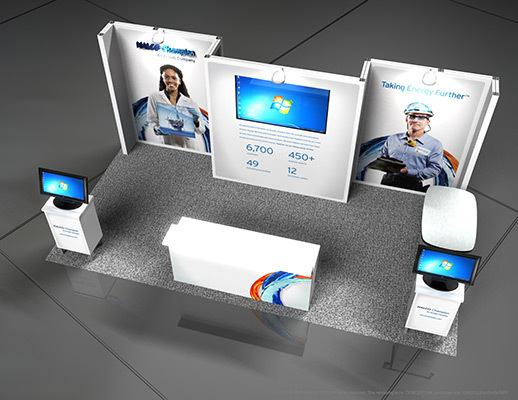 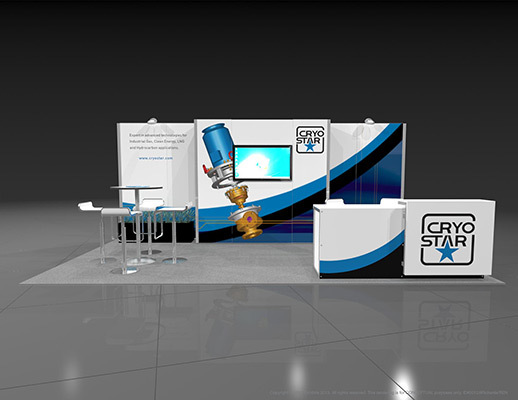 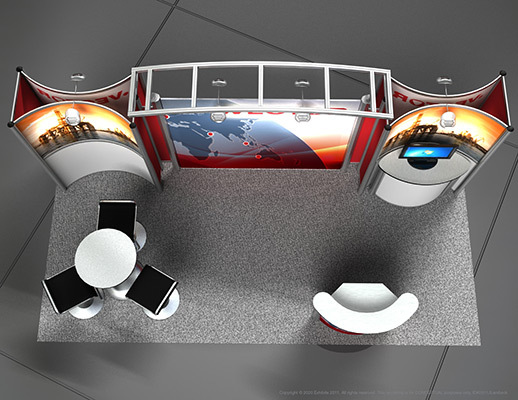 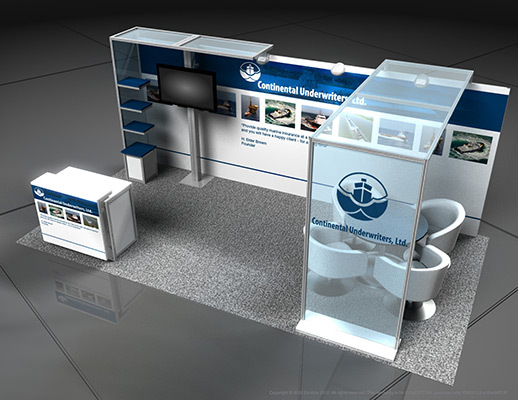 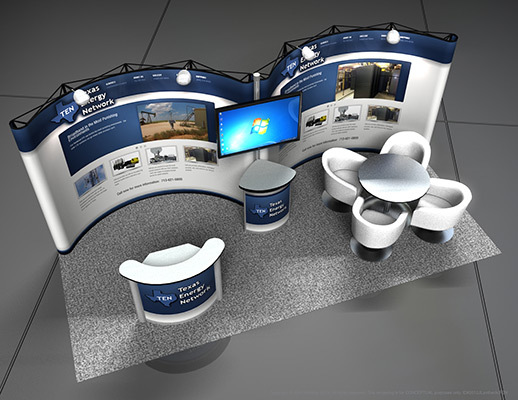 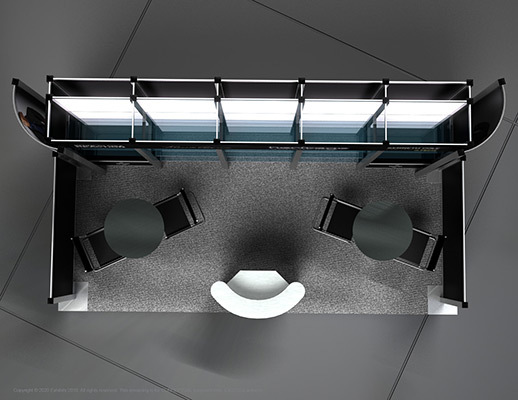 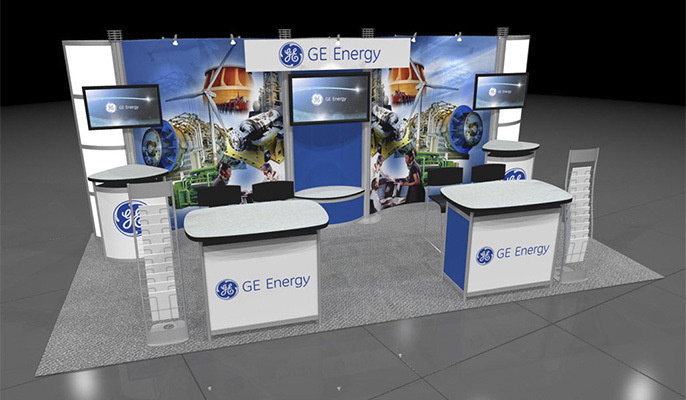 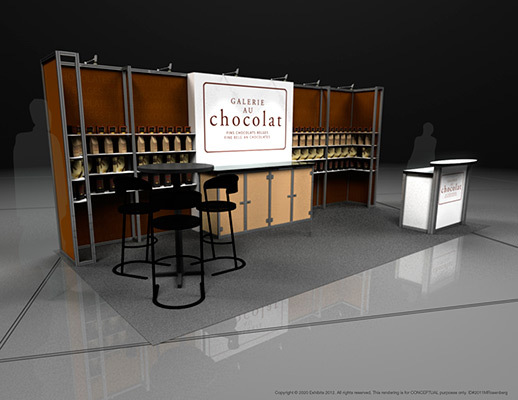 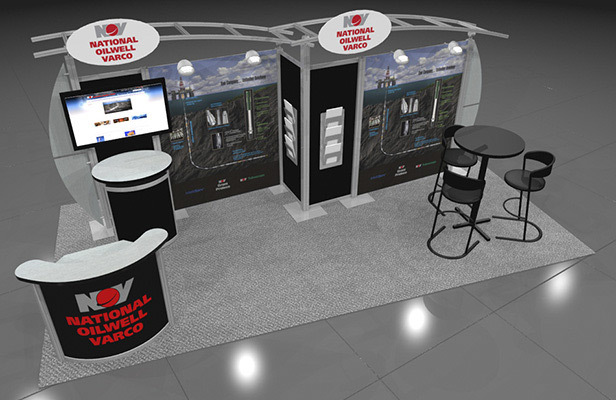 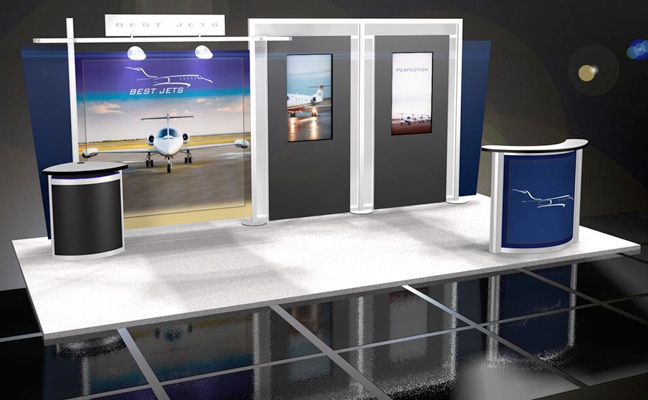 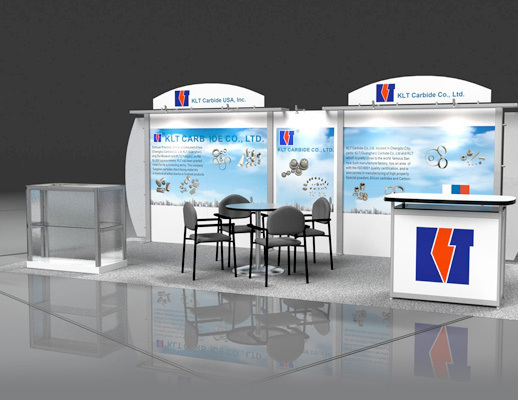 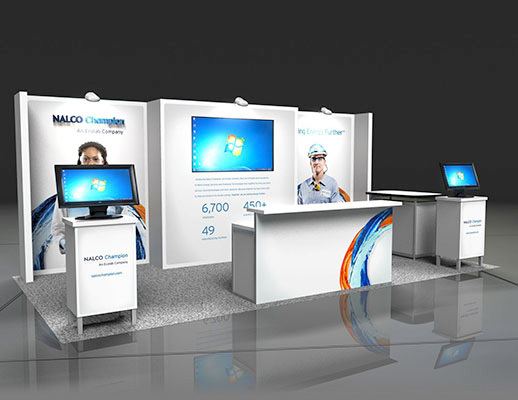 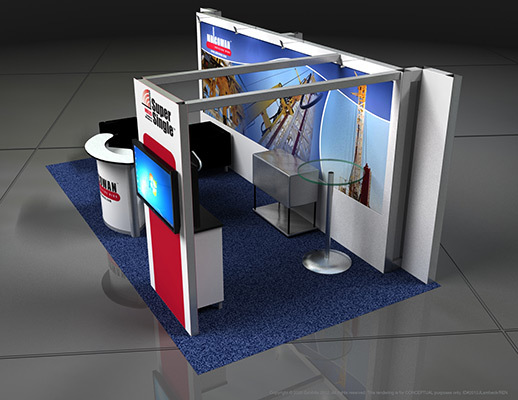 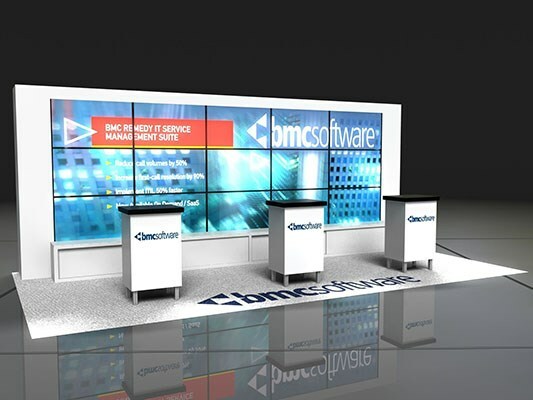 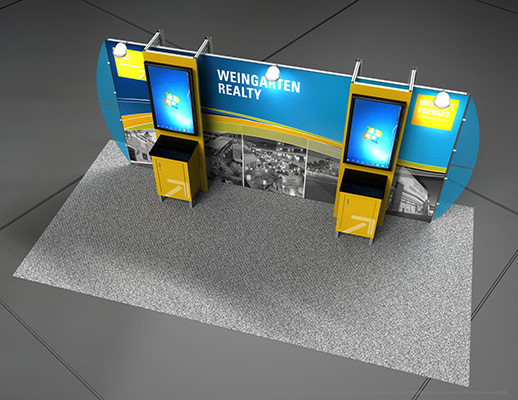 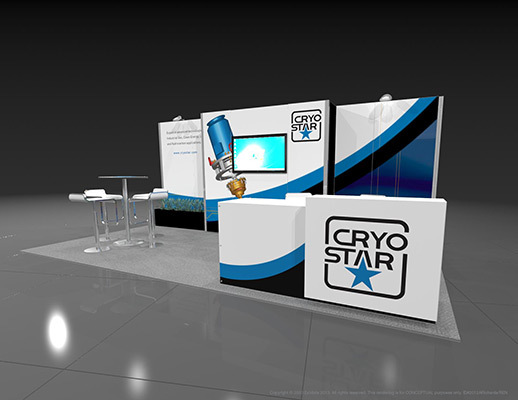 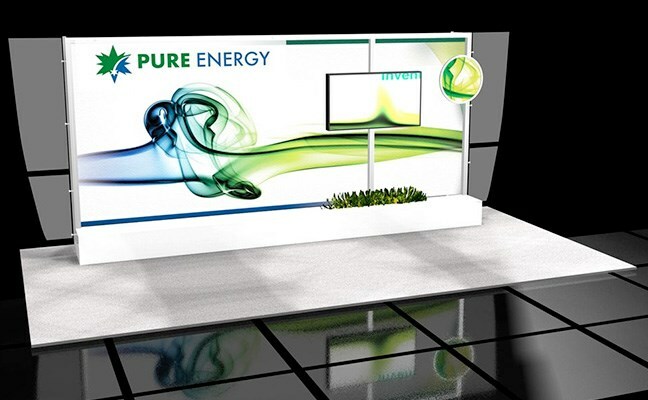 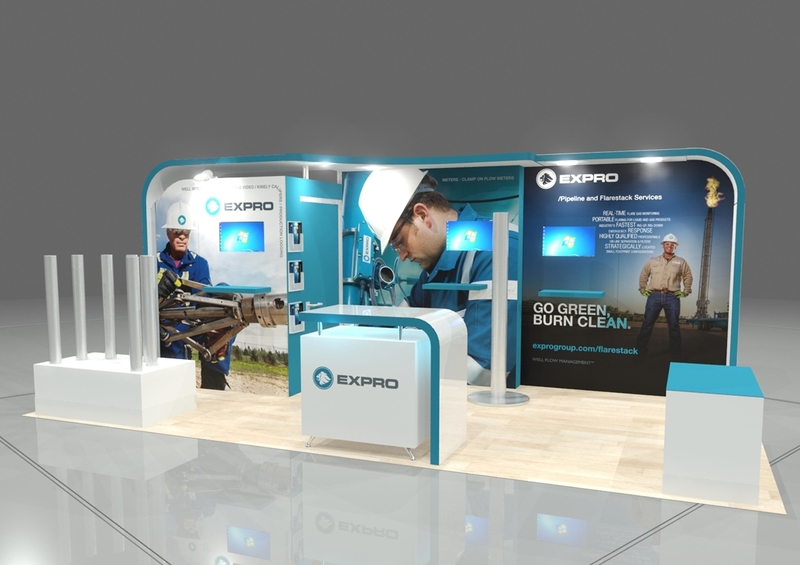 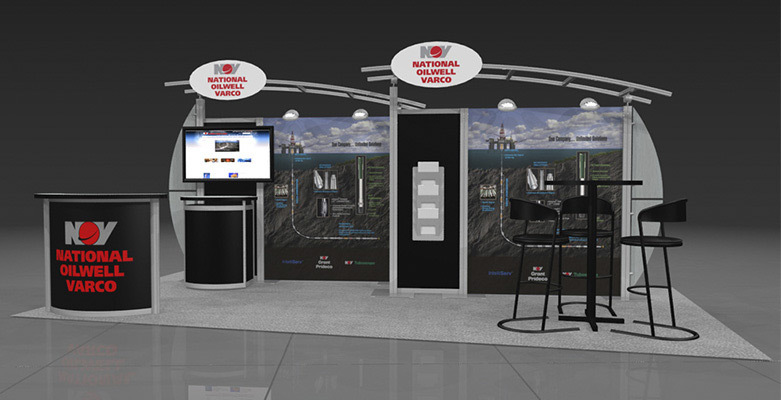 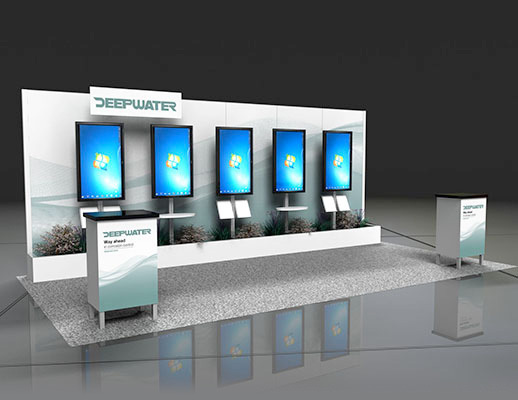 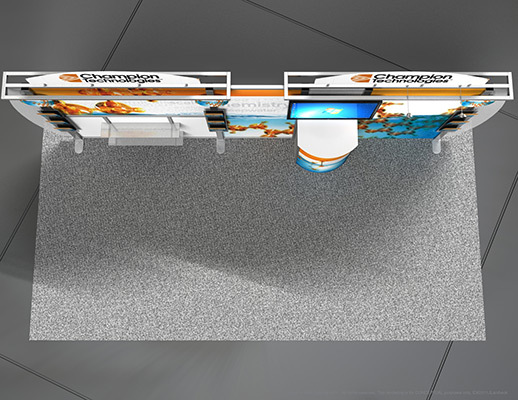 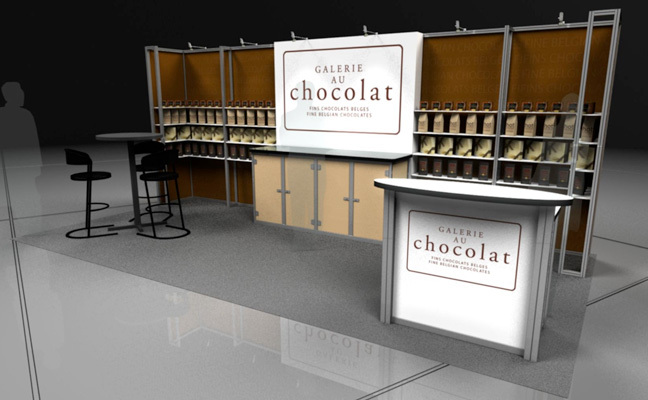 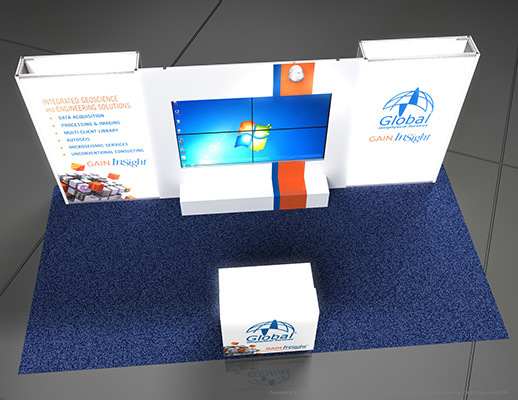 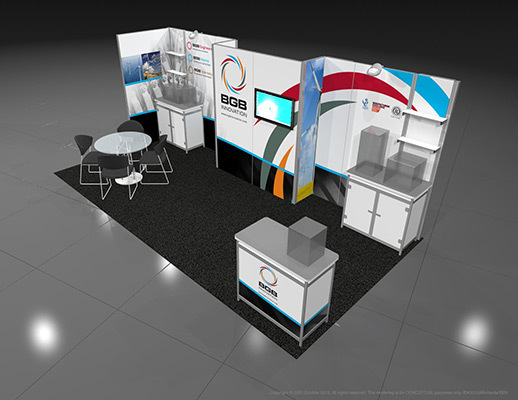 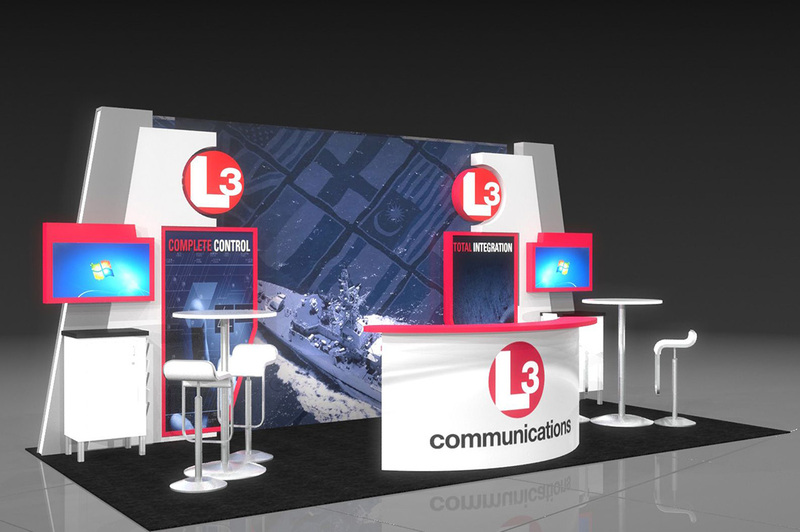 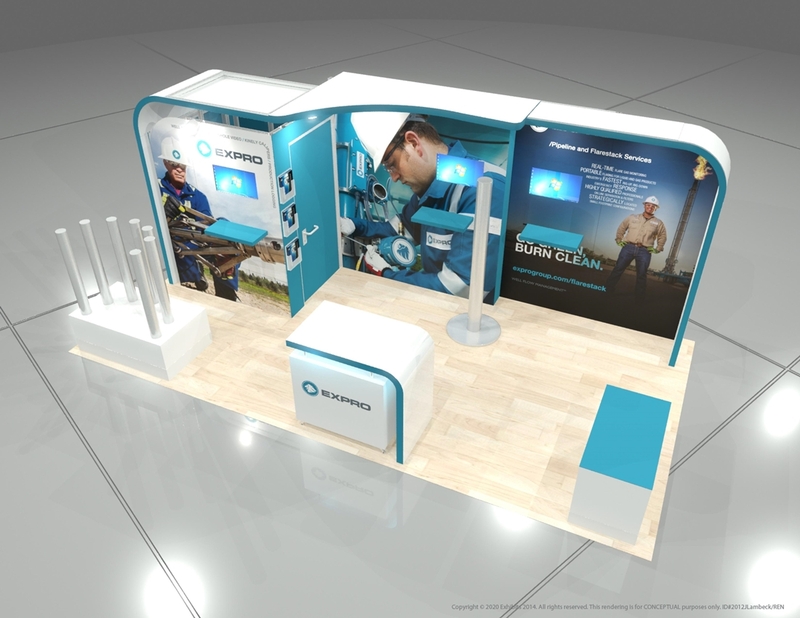 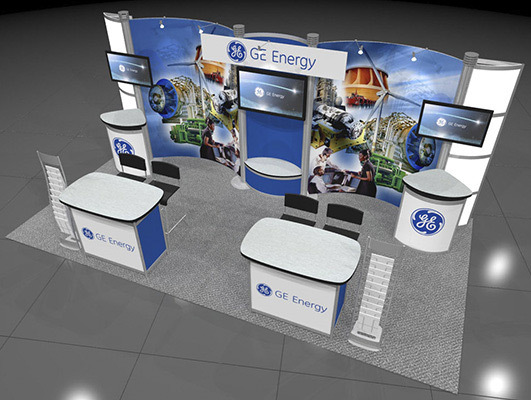 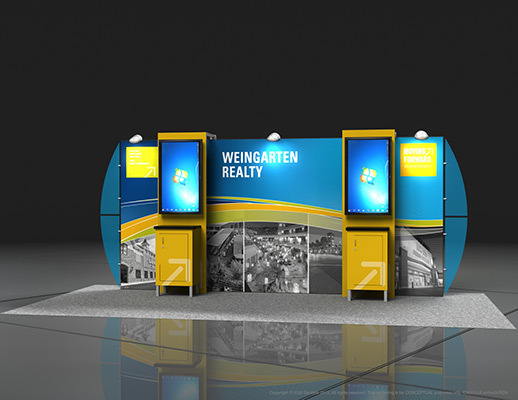 Features include: curved graphic back walls, dual video kiosks, information kiosk, literature displays, informational graphics, overhead lighting and prominent logo.